The protective qualities of alpha-carotene, beta-carotene and beta-cryptoxanthin are mostly attributed to their ability to convert to vitamin A which is essential to normal growth and development, immune system function and vision. Research into the antioxidant activity of these three carotenoids and their application in disease is ongoing. Beta-carotene, alpha-carotene and beta-cryptoxanthin are extensively researched for their application in strengthening immune system, in cardiovascular diseases, lung cancer, cataracts, and macula degeneration. There were some positive results in the reduction of the lung cancer risk in the results of the studies with dietary carotenoids. However, two studies with beta-carotene supplements and the risk of lung cancer in smokers, former smokers and former asbestos workers (the Alpha-Tocopherol Beta-Carotene (ATBC) cancer prevention trial in Finland, and the beta-Carotene And Retinol Efficacy Trial (CARET) in the USA) unexpectedly delivered such negative results that the studies had to be ended before the designated time because of the lung cancer risk increase by 16% after 6 years in the ATBC participants and by 28% after 4 years in the CARET participants. ATBC prevention trial evaluated the effects of 20 mg/d of beta-carotene and/or 50 mg/d of alpha-tocopherol on more than 29,000 male smokers; CARET evaluated the effects of a combination of 30 mg/d of beta-carotene and 25,000 IU/d of retinol (vitamin A) in more than 18,000 men and women who were smokers, former smokers, or had a history of occupational asbestos exposure. Read the abstracts of these studies here. 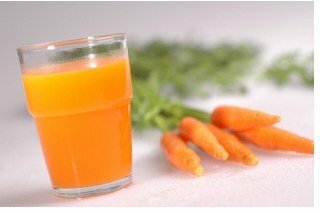 Even though beta-carotene supplementation did not increase the lung cancer risk in healthy non-smokers according to the results of a study of 22,000 US males that lasted for 12 years (Department of Medicine, Brigham and Women's Hospital, Boston, MA, published in 1996), experts believe that the risks of high-dose beta-carotene supplementation outweigh any potential benefits for cancer prevention, especially in smokers or other high-risk groups of populations. Although diets rich in beta-carotene have been in general associated with lower cardiovascular disease risk in some studies, it is not yet clear whether this effect is a result of carotenoids or other factors associated with diets high in carotenoid-rich fruits and vegetables. Also, there is no evidence that beta-carotene supplementation reduces cardiovascular disease risk. 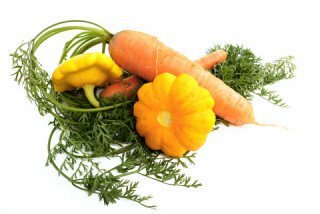 The reviewed studies suggest that the effects of vitamin A forming carotenoids seem to be positive when the sources of these carotenoids are dietary (as is the case with all nutrients in fact). It can be due to the fact that in foods there are many other compounds that may affect each other, and there are others that the science has not identified yet. That is why it is always suggested that a diet including a variety of fresh fruits and vegetables is beneficial for health. Food sources of Alpha-carotene, Beta-carotene and Beta-cryptoxanthin: carrots, pumpkin, sweet potatoes, winter squash, papayas, tangerines, red bell peppers. For the complete list of foods and Alpha-carotene content in them click here. For the complete list of foods and Beta-cryptoxanthin content in them click here.